Fairfax, Iowa Post Frame Buildings by Greiner Buildings. Iowa City is a city with a population of about 70,000, making it the fifth-largest city in Iowa. It is the county seat of Johnson County. Iowa City is home to many historical landmarks such as: the Old Capitol Building, the University of Iowa Art museum, and the Plum Grove home of the first governor of Iowa. Greiner Buildings is proud to work in Iowa City and surrounding areas. We build post frame and pole buildings for residents and business owners. As a big metropolitan area, Iowa City has great opportunity for various types of post frame buildings. These buildings that we make at Greiner Buildings are very beneficial to any home, farm, or business owner. Quality: Post frame buildings by Greiner Buildings are of utmost quality. We only use the best tools and equipment on the market, and our team is highly trained and experienced. Versatility: Our pole buildings are very versatile, and we can build anything you want. 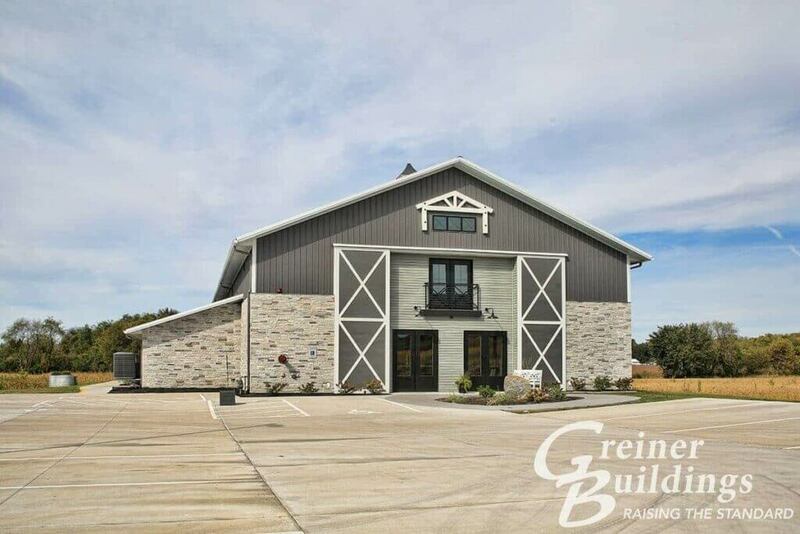 From custom homes and barns to machine sheds, cattle sheds, horse stalls, hobby shops, to commercial buildings, Greiner Buildings has done it all. Speed: We can put up a post frame construction quickly and efficiently. You won’t have to wait long to have the building of your dreams! Energy Efficiency: The way that our post frame buildings are designed and constructed allow for the best insulation and energy efficiency possible. Affordability: Wood materials are much less expensive than steel, which makes pole buildings a great choice if you are on a budget but still want quality work. Long life: Our buildings are made to last throughout the seasons for many years to come. You can trust Greiner Buildings to construct you a pole building that is safe and durable. Not only do we construct buildings, but we also have design and repair specialists on our team here at Greiner Buildings! We can help you design the building of your dreams, as well as repair any issues you may have with your existing post frame construction. Don’t hesitate to call us with any inquiries you may have. We look forward to working with you for all of your post frame building needs in Iowa City, IA.